SOMA is dedicated to providing safe, proven, nonsurgical vein and skin treatments for medical and cosmetic purposes by a physician led team. A commitment to ongoing training ensures SOMA’s professional staff can educate our patients and clients about our state of the art treatments. Our priority is our clients’ comfort and experience while creating strong professional relationships. 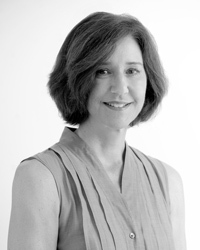 Dr. Renée Lutwick graduated from Dalhousie Medical School in 1985. She practiced family medicine from 1986 with an interest in procedural areas of medicine including obsetrics and emergency. She went on to complete a formal residency in Emergency Medicine and received the Resident's Research Award in 2000. Dr. Lutwick dedicated her practice to Phlebology (the treatment of veins) and non-surgical cosmetic medicine from 2004. She has successfully completed exams in both Phlebology and Laser medicine and thus attained Diplomate status with the American Board of Phlebology and the American Board of Laser Medicine and Surgery. Dr.Lutwick is a Fellow of the Canadian Society of Phlebology, Fellow of the American Society of Laser Medicine and Surgery and a Member of the American College of Phlebology. Susan is excited and pleased to be a part of SOMA. With over 25 years of nursing experience, she provides a calming and reassuring approach to the practice. 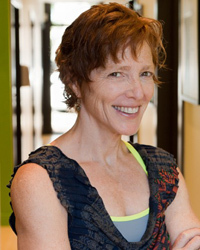 Certified in compression therapy, Susan looks forward to addressing your individual needs. We are pleased to have Jennifer Campbell as part of our team. 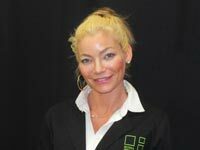 Jennifer studied medical aesthetics at the well known Steiner College in London, England. After a one year adventure as the aesthetician on a ship, Jennifer resumed her studies at a private aesthetics academy in Tampa Bay where she focussed on aesthetic laser treatments . She had a long career at Toronto’s prestigious Bel Air Laser Clinic followed by a transfer to their Manhattan location where she was promoted to Director of Operations and led the clinic to become number one Coolsculpting provider in the tri-state area.